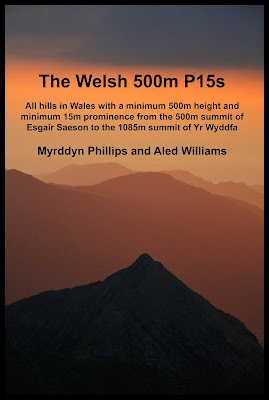 ‘The Welsh 500m P15s’ is a hill list co-authored by Myrddyn Phillips and Aled Williams, and was first announced on the Mapping Mountains site on 4th November 2015 where a complete breakdown of hill totals was listed by Group. 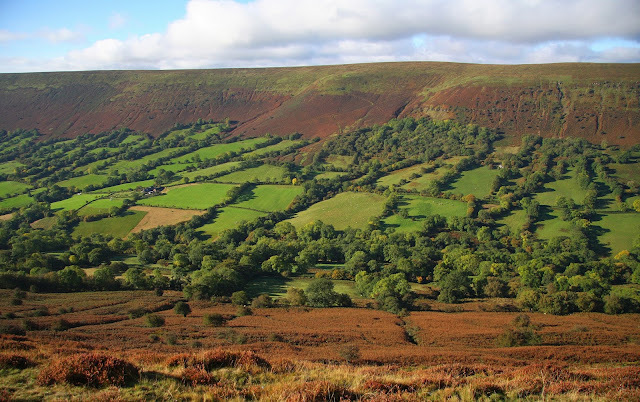 The list then comprised of 630 hills that met the qualifying criteria with over 100 of these hills making their first known appearance in any form of hill list; emphasising the fact that this listing is the most comprehensive of its kind for this height band of hill in Wales. The listing originated in 2004 and it has developed ever since with over 330 marginal hills having been surveyed using a basic levelling technique. It is now benefiting from the accurate surveys conducted with GPS / GNSS receiver, an expanded range of Ordnance Survey maps available online and most recently, by analysis of LIDAR data. 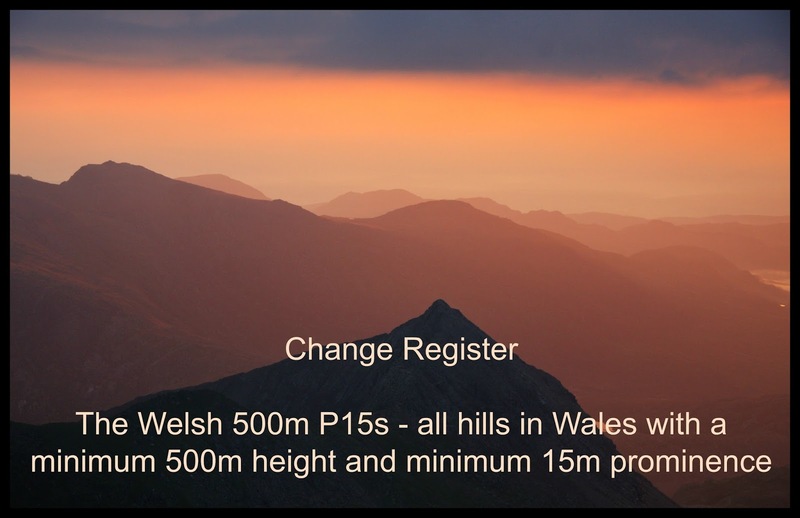 It seems fitting that the list of ‘The Welsh 500m P15s’ should now benefit from a detailed Change Register, and although the hill list in its entirety is not yet published it is prudent for this Change Register to initially detail the changes to the list since the November 2015 introduction published on the Mapping Mountains site. The Change Register to ‘The Welsh 500m P15s’ appears below with the reclassifications to the main P15 list being detailed chronologically in receding order. The addition of this hill to Uchaf status was announced on Mapping Mountains on the 16.09.18, with the Hill Reclassification post appearing on Mapping Mountains on the 16.10.18; prior to this the hill was listed with an estimated c 13m of drop and therefore was not even listed as a 500m Sub-Uchaf. This hill’s reclassification is due to a Trimble GeoXH 6000 survey and interpolation of the 5m bwlch contouring on OS Maps, resulting in a 526.8m (converted to OSGM15) summit height and a c 511m bwlch height, with these values giving this hill c 16m of drop, which is sufficient for Uchaf status. Uchaf total increases by one and confirmed as 632. This hill’s reclassification to 500m Sub-Uchaf status was announced on Mapping Mountains on the 16.09.18, with the Hill Reclassification post appearing on Mapping Mountains on the 13.10.18; prior to this the hill was listed as an Uchaf with 15m of drop based on the 517m summit and 502m bwlch spot heights that appear on the Ordnance Survey Interactive Coverage Map hosted on the Geograph website. This hill’s reclassification is due to a Trimble GeoXH 6000 survey and interpolation of the 5m bwlch contouring on OS Maps, resulting in a 516.3m (converted to OSGM15) summit height and a c 502m bwlch height, with these values giving this hill c 14m of drop, which is insufficient for its continued inclusion as an Uchaf. Uchaf total decreases by one and confirmed as 631. 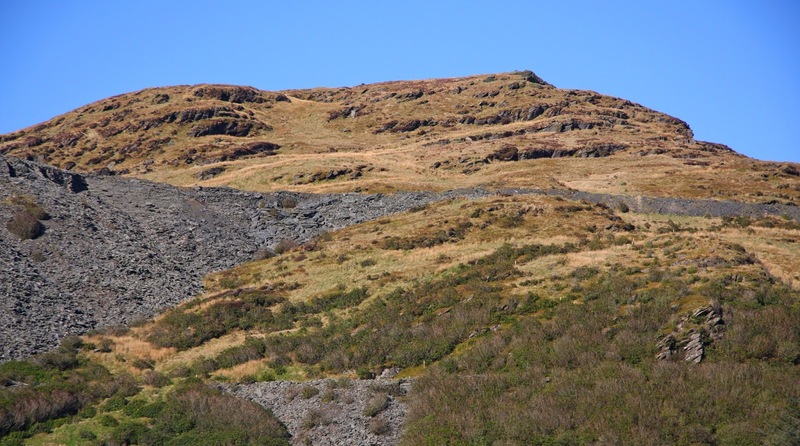 The addition of this hill to Uchaf status was announced on Mapping Mountains on the 28.04.18, with the Hill Reclassification post appearing on Mapping Mountains the following day; prior to this the hill was not classified as it was listed with 13.6m of drop based on a basic levelling survey (BLS) conducted by Myrddyn Phillips on the 29.09.05. 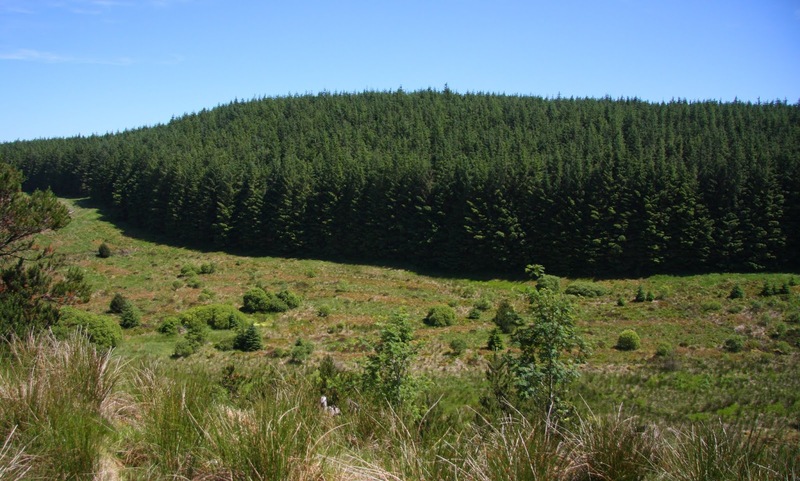 Importantly the BLS was conducted when the western conifer plantation was intact and therefore the survey could only be taken to the high point of the hill that was outside of the plantation. This hill’s subsequent addition to the ranks of Uchaf hills is due to a Trimble GeoXH 6000 survey conducted by Myrddyn Phillips and Aled Williams on the 01.04.18 when the forestry had been felled, resulting in a 565.7m (converted to OSGM15) summit height and 550.5m (converted to OSGM15) bwlch height giving this hill 15.3m of drop, which is sufficient for its inclusion as an Uchaf. Uchaf total increases by one and confirmed as 632. 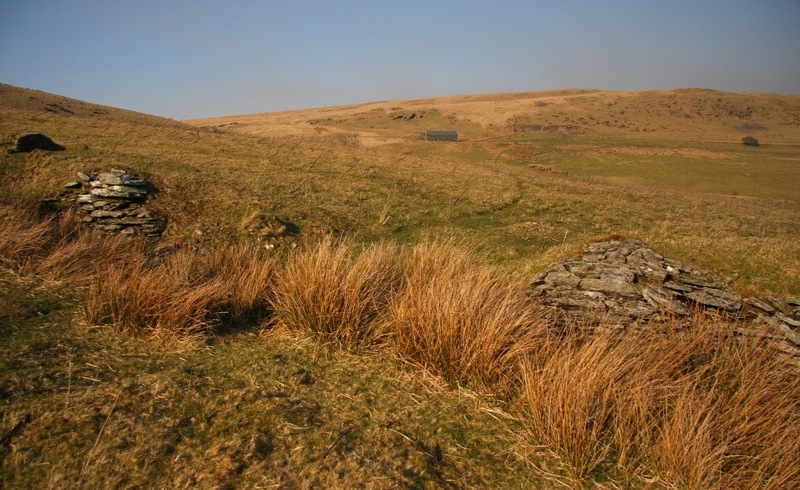 This hill’s inclusion as an Uchaf was announced on the Mapping Mountains site on the 07.05.17; prior to this the hill was not classified as with an estimated c 13m of drop it did not meet the criteria for 500m Sub-Uchaf status. This hill’s subsequent addition to the ranks of Uchaf hills is due to analysis of LIDAR data by Aled Williams; with the 535.9m (converted to OSGM15) summit height and 520.9m (converted to OSGM15) bwlch height giving this hill 15.0m of drop, which is sufficient for its inclusion as an Uchaf. Uchaf total increases by one and confirmed as 631. The announcement of this hill’s deletion from Uchaf status was made on Mapping Mountains on the 24.04.17; prior to this the hill was listed as an Uchaf with 16m of drop based on a 51ft 6˝ (15.7m) basic levelling survey (BLS) conducted by Myrddyn Phillips on the 10.05.05. This BLS was conducted from the easterly of two bwlch options to a 523m map heighted bump with 5m then added to compensate for the difference in height to the 528m map heighted summit of Bwlan. This hill’s subsequent deletion from Uchaf status is due to analysis of LIDAR data by Aled Williams, with the 526.1m (converted to OSGM15) summit height and 512.6m (converted to OSGM15) bwlch height giving this hill 13.55m of drop, which is insufficient for its retention as an Uchaf and also for its classification as a 500m Sub-Uchaf. This hill has subsequently been surveyed with the Trimble GeoXH 6000 on the 04.05.17 by Myrddyn Phillips and Aled Williams resulting in a 525.9m (converted to OSGM15) summit height and a 512.1m (converted to OSGM15) bwlch height, with these values giving this hill 13.8m of drop. Uchaf total decreases by one and confirmed as 630. The addition of this hill as an Uchaf was announced on the Mapping Mountains site on 03.04.17; prior to this the hill was not classified. This hill’s inclusion as an Uchaf is due to analysis of LIDAR data by Aled Williams, with the 500.6m summit height and contouring at 1m intervals showing that the bwlch height is below 485m which is sufficient for this hill to have the required minimum of 15m of drop for inclusion as an Uchaf. 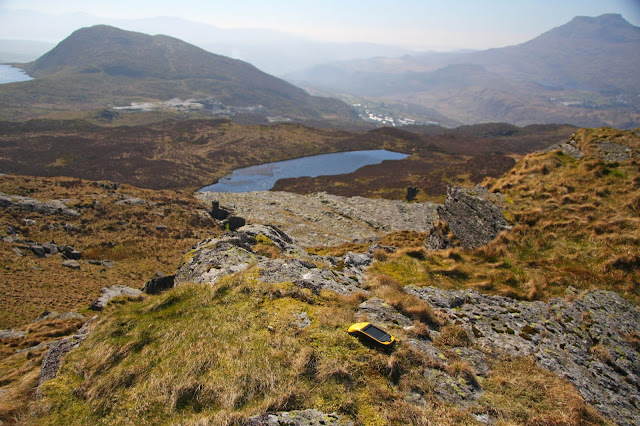 The hill has subsequently been surveyed with the Trimble GeoXH 6000 resulting in a 500.5m (converted to OSGM15) summit height and a 482.4m (converted to OSGM15) bwlch height giving this hill 18.1m of drop. Uchaf total increases by one and confirmed as 631. This hill’s addition to the ranks of the Yr Uchafion was announced on Mapping Mountains on the 02.04.17, with the hill previously being unclassified. This hill’s inclusion as an Uchaf is due to analysis of LIDAR data by Aled Williams, which resulted in a 506.6m summit height and a 490.5m bwlch height giving this hill 16.1m of drop, the hill has subsequently been surveyed with the Trimble GeoXH 6000 resulting in a 506.8m (converted to OSGM15) summit height and 490.4m (converted to OSGM15) bwlch height which confirms this hill's addition as an Uchaf. Uchaf total increases by one and confirmed as 630. The announcement of this hill’s reclassification to Uchaf status was made on Mapping Mountains on the 01.04.17, with the hill previously listed as a 500m Sub-Uchaf based on a 48ft 6″ (14.8m) drop value produced by a basic levelling survey conducted by Myrddyn Phillips on the 27.10.05. This hill’s inclusion as an Uchaf is due to analysis of LIDAR data by Aled Williams, which resulted in a 523.4m summit height and a bwlch height of 508.3m, giving this hill 15.1m of drop, the hill has subsequently been surveyed with the Trimble GeoXH 6000 resulting in a 523.4m (converted to OSGM15) summit height and a 508.1m (converted to OSGM15) bwlch height which confirms this hill's addition as an Uchaf. Uchaf total increases by one and confirmed as 629. This hill’s reclassification to a 490m Sub-Uchaf was announced on Mapping Mountains on 13.03.17, with the hill previously listed with an estimated c 500m summit height based on the flatness of the summit area in relation to the small uppermost 500m ring contour on Ordnance Survey maps. 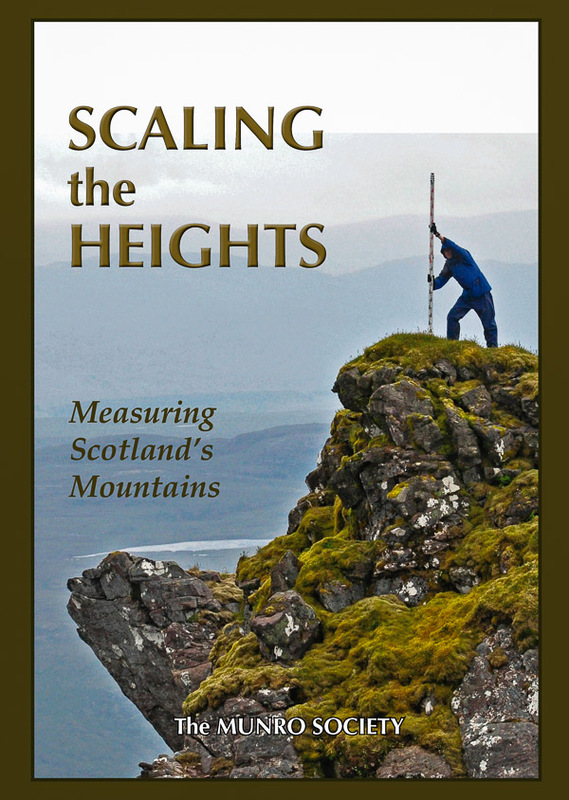 The hill’s reclassification from an Uchaf is due to analysis of LIDAR data by Aled Williams, with the resulting 499.1m summit height being too low for the hill to qualify as an Uchaf. Uchaf total decreases by one and confirmed as 628. This hill was announced as a new Uchaf via the Mapping Mountains site on 15.02.17, with the hill previously thought of as being unclassified and catalogued with only 13m of drop based on the Ordnance Survey 517m summit spot height on the 1:50,000 Landranger, 1:25,000 Explorer and the enlarged mapping hosted on the Geograph website and the latter map also giving a bwlch spot height of 504m. 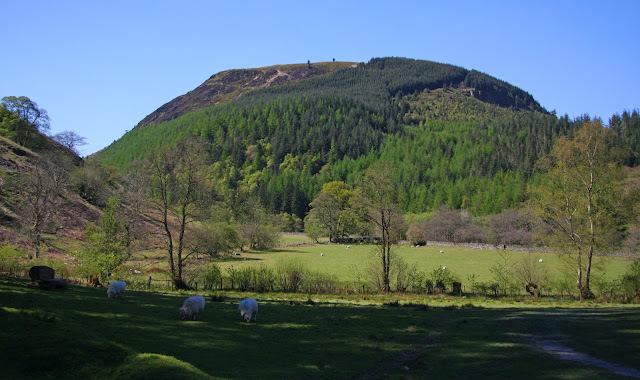 This hill’s inclusion as an Uchaf is due to analysis of LIDAR bwlch data by Aled Williams, with the resulting summit height of 516.8m and bwlch height of 501.2m being sufficient for Uchaf status with the hill having 15.6m of drop. Uchaf total increases by one and confirmed as 629. 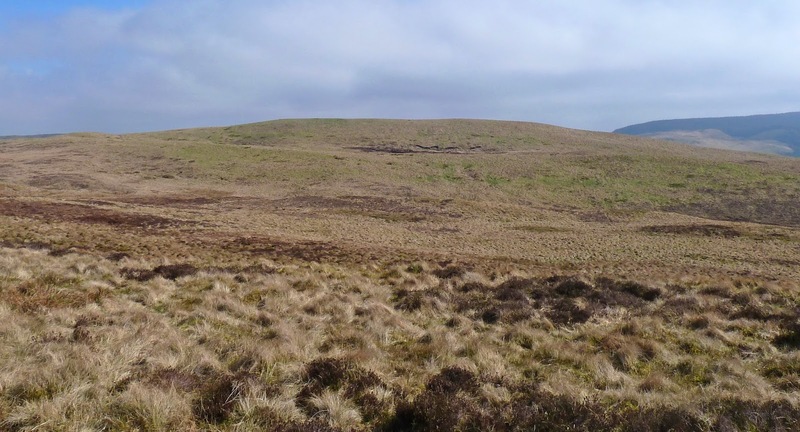 The announcement of this hill’s reclassification to 500m Sub-Uchaf was made on the Mapping Mountains site on 12.02.17, with the hill previously listed as an Uchaf with 15m of drop based on the Ordnance Survey 504m summit spot height on the 1:50,000 Landranger, 1:25,000 Explorer and on the enlarged mapping hosted on the Geograph website, with the latter map showing a 489m bwlch spot height. This hill’s reclassification from an Uchaf to a 500m Sub-Uchaf is due to analysis of LIDAR bwlch data by Aled Williams, with the resulting height of 489.6m when combined with the 504m summit spot height only giving this hill 14m of drop, which is insufficient for continued Uchaf status. This hill has subequently been surveyed with the Trimble GeoXH 6000 resulting in a 503.0m summit and 489.6m bwlch height, with these values giving this hill 13.4m of drop. Uchaf total decreases by one and confirmed as 628. 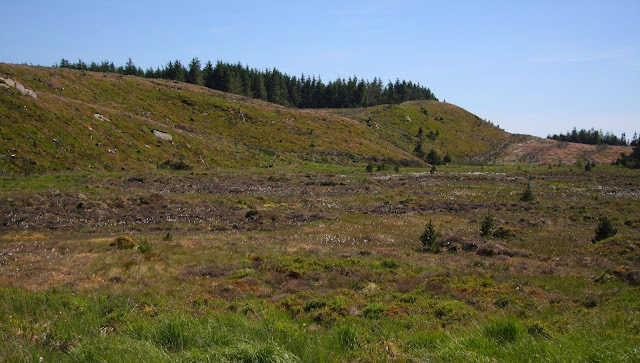 This hill’s deletion from the ranks of the Uchafion was announced on Mapping Mountains on the 09.02.17, with the hill previously listed as an Uchaf with 50ft (15.2m) of drop based on a rudimentary levelling survey conducted by Myrddyn Phillips on the 26.06.05, this survey was to the top of the ancient standing stone that adorns the summit of this hill and therefore its previous inclusion could be viewed as contentious. This hill’s deletion from Uchaf status is due to analysis of LIDAR data by Aled Williams, with the resulting heights being 543.2m summit and 529.9m bwlch, giving this hill only 13.3m of drop which is insufficient to retain its Uchaf status. Uchaf total decreases by one and confirmed as 629. The reclassification of this hill was announced on the Mapping Mountains site on 31.01.17, with the hill previously listed as an Uchaf with c 15m of drop based on an estimated summit height of c 530m and an estimated bwlch height of c 515m. This hill has been reclassified from an Uchaf to a 500m Sub-Uchaf from LIDAR data analysed by Aled Williams, with the resulting heights being 530m summit and 515.6m bwlch, giving this hill 14.4m of drop which is insufficient to retain its Uchaf status. Uchaf total decreases by one and confirmed as 630. This hill’s new classification was announced on the Mapping Mountains site on 07.01.17, and to the authors knowledge the hill had not been included in any known hill list before. The hill has been included as an Uchaf through LIDAR data analysed by Aled Williams, the results of which give the hill a 572.8m summit and 555.3m bwlch height, resulting in this hill having 17.5m of drop which is sufficient for its classification as an Uchaf. Uchaf total increases by one and confirmed as 631. The new classification for this hill was announced on the Mapping Mountains site on 04.01.17, before which time the hill had not been listed in any hill list known to the authors. The hill’s inclusion as an Uchaf is through LIDAR data analysed by Aled Williams, the results of which give the hill a 579.9m summit and 558.9m bwlch height, these values are sufficient for this hill’s classification as an Uchaf with 21.0m of drop. Uchaf total increases by one and confirmed as 630. The reclassification of this hill was announced on the Mapping Mountains site on 08.12.16, before which time the hill had not been listed in any hill list known to the authors. 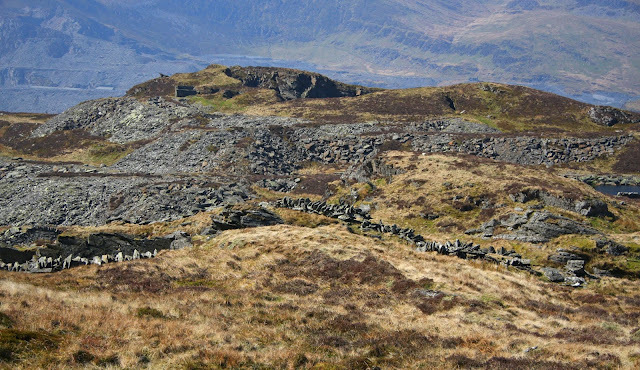 The hill was “discovered” by Aled Williams as he studied the Ordnance Survey enlarged mapping hosted on the Geograph website, which suggested that Esgair y Llyn qualified from having a 529m summit and 513m bwlch spot height. Its inclusion as an Uchaf was subsequently fully confirmed from LIDAR data analysed by Aled Williams, the results of which give the hill a 528.8m summit and 513.3m bwlch height, with these values resulting in 15.5m of drop, which is sufficient for it to qualify for this list. Uchaf total increases by one and confirmed as 629. This reclassification was announced on the Mapping Mountains site on 30.11.16, with the hill previously listed as an Uchaf with c 15m of drop based on the 637m summit spot height on Ordnance Survey maps and an estimated bwlch height based on contour interpolation of c 622m. This hill was reclassified from an Uchaf to a 500m Sub-Uchaf from LIDAR data analysed by Aled Williams, who had analysed this hill’s data independent of Joe Nuttall who was the first person to scrutinise this hill with LIDAR data, both found that the hill was given less than 15m of drop with Aled’s analysis producing a 637.4m summit and 622.7m bwlch height, with these values giving the hill only 14.7m of drop. This hill has subsequently been surveyed with the Trimble GeoXH 6000 on the 28.09.17 resulting in a 637.1m summit height and a 622.5m bwlch height, with these values confirming that this hill has less than 15m of drop which is insufficient to retain its Uchaf status. Uchaf total decreases by one and confirmed as 628. The first Uchaf to be reclassified from analysis of LIDAR data, with the status change being announced via the Mapping Mountains site on 25.11.16, having been previously listed as an Uchaf with 15m of drop based on the 688m summit and 673m bwlch spot heights on the Ordnance Survey 1:25,000 Explorer map. This hill was reclassified from LIDAR data analysed by Aled Williams, this analysis gave the hill a 685.6m summit and 672.0m bwlch height, with these values giving the hill only 13.6m of drop which is insufficient even for 500m Sub-Uchaf status, this deletion was subsequently confirmed by a line survey for drop and a Leica GS15 survey for height conducted by John Barnard and Graham Jackson on the 05.05.17, with 13.97m drop and 686.0m summit and 672.0m bwlch height respectively. Uchaf total decreases by one and confirmed as 629. Confirmation of promotion via the Mapping Mountains site on 04.11.16, this hill had been analysed by Joe Nuttall who relayed the information that LIDAR data gave it 15.783m of drop and asked Myrddyn Phillips if he could survey it with his Trimble, the resulting Trimble GeoXH 6000 survey was conducted on 25.10.16 and confirmed that with 16.1m this hill has sufficient drop to qualify as a Nuttall as well as an Uchaf. Uchaf total increases by one and confirmed as 630. The first Uchaf to have been reclassified by surveying with the Trimble GeoXH 6000 since details of the list were made public in November 2015. This status change was announced via the Mapping Mountains site on 21.05.16, the hill had been previously listed as an Uchaf based on the 514m summit spot height appearing on Ordnance Survey 1:25,000 Explorer maps coupled with a basic levelling survey conducted by Myrddyn Phillips on 22.05.04 resulting in 56ft 6″ (17.2m) of drop. This hill was subsequently surveyed with the Trimble GeoXH 6000 by Myrddyn Phillips on 05.05.16, with a second Trimble GeoXH 6000 survey conducted on the 22.02.19, resulting in the hill having 14.7m of drop, which is insufficient for qualification as an Uchaf. Uchaf total decreases by one and confirmed as 629. 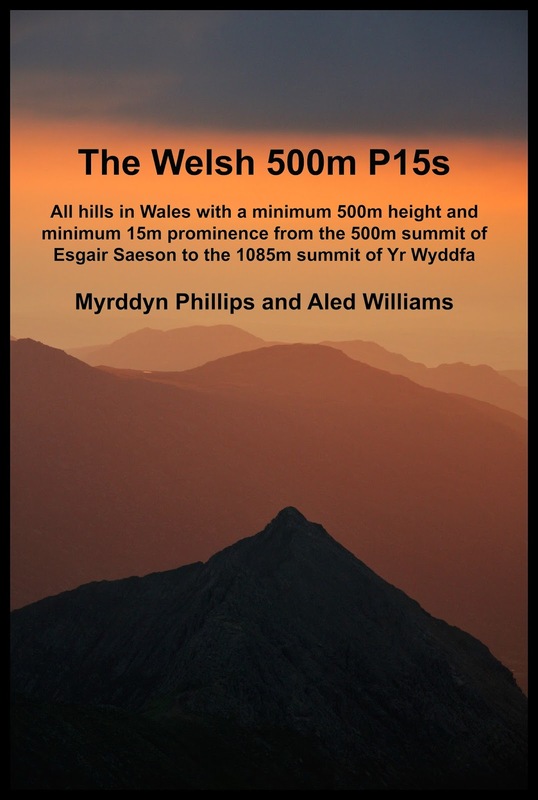 4th November 2015 – Mapping Mountains first publishes details to ‘The Welsh 500m P15s’. 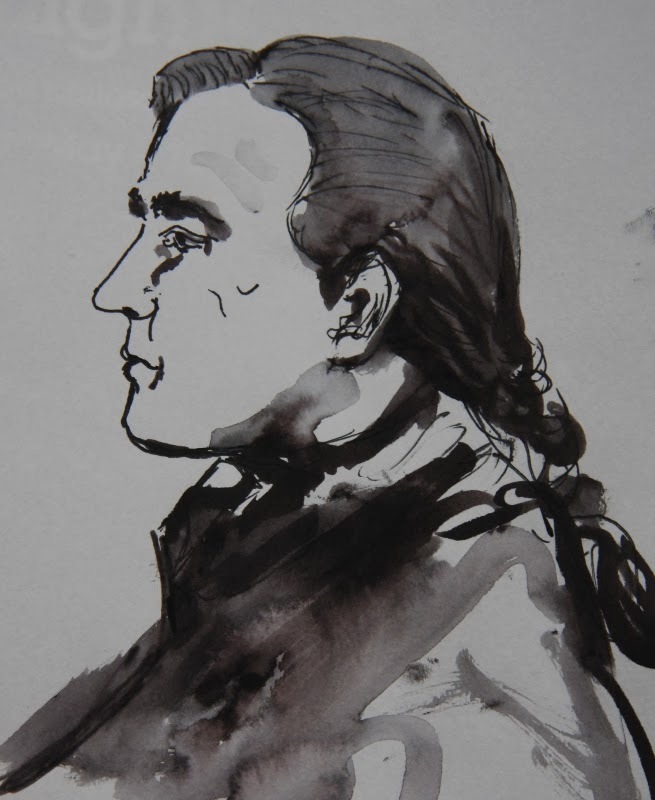 Uchaf total confirmed as 630.